on the big screen at seven years old, his life wouldn’t be the same again. Besides his love for Star Wars, Mike is an avid listener of Heavy Metal and can often be spotted at concerts. He’s also a huge Boston sports fan and loves the Bruins over all others. He is a washed-up athlete who still goes to the gym every day. Becca is a Medical Receptionist for a Retina Specialist, and the former Editor-in-chief for The Cantina Cast. She is also a host (with co-host Mark Sutter) on Tarkin’s Top Shelf, a literary Star Wars podcast and the personal author for Lucasfilm artist Steve Anderson. engrossed himself in the multi-timelines of The Legend of Zelda, the many generations of Star Trek, and the epic Marvel Cinematic Universe. Star Wars, however, is the first world he dove into head first to explore all corners. From the Decipher Customizable Card Game to the various stories in the Legends world, he was in it from a very young age. Even in times when his involvement with Star Wars was minimal, he always set aside time to watch the films through at least twice a year. Now, with so much new content guided into one solid universe by the Lucasfilm Story Group, his excitement and energy is as high as it’s ever been. d, she couldn’t stop thinking about the frightening heavy breather in the black suit who had ricocheted into space just moments before. She’s had a deep connection to the Star Wars saga ever since. Writing about her life through its framework is a thrill. A late bloomer, she graduated from the University of Pittsburgh in April 2014 with a Humanities degree in Writing, Literature, and Religious Studies, and has been reading/editing for an online literary journal since then. She has been married for over three decades and has five children to show for it. Some of them “get” her passionate geekiness and some don’t, but everyone knows how important her many fandoms are to her. Craig has been a Star Wars fan since he saw The Empire Strikes Back as a four-year-old in 1980. As an English/History teacher and member of the Rogues of Star Wars in the Classroom, he now shares his passion for Star Wars with his students and fellow educators. 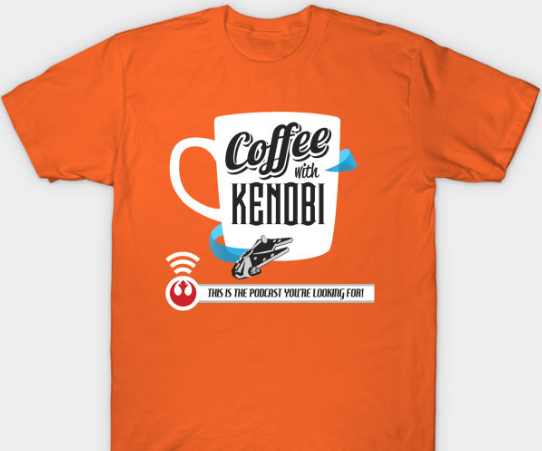 Craig was a featured guest on Episode 9 of “Coffee with Kenobi,” where he discussed his Star Wars teaching practices and thoughts on the saga’s viewing order and has also made appearances on the podcasts Star Wars Kidscast and Full of Sith. Craig is a National Board certified teacher, has a Master’s Degree in Curriculum and Instruction, and is a huge fan of literature, comics, and movies. young age he was introduced to Star Wars via bootleg VHS tapes in the late 1980s, however not knowing until years later ROTJ came after ANH! The story of the Jedi, selflessness, and compassion for the greater good from the Rebellion, instilled in him the values to make a career out of public service. Nick has been involved with nonprofits via volunteerism, internships, board service and employment for close to two decades in North Carolina. Currently, he runs an environmental education program through AmeriCorps, our domestic Jedi program! Nick has been a diehard fan Star Wars since those VHS tapes, with many people not surprised his kids’ names are inspired by Star Wars (or Battlestar) characters. He’s read (almost) all the EU/Legends Library books, collected figures from Episode I-VII, with his prized possessions being a game-worn R2-D2 Durham Bulls uniform and custom art done by his AmeriCorps members. Remember, always let the Wookiee win! James is a hard-working Blackjack Dealer by day and a lazy aspiring author by night. Besides his love for STAR WARS, he has an unhealthy amount of love for GREMLINS, metal detecting, and graveyard artwork. Find his sillier musings on Twitter at @MediocreJedi. He is also “Rogue 65” at www.starwarsintheclassroom.com. Dennis’s passion for Star Wars was born at an early age. At the age of three, his father took him to see Star Wars as his first ever movie theater experience, and he fell asleep halfway through. That was the first of countless viewings of what would later become known as A New Hope. Ever since then, Star Wars has been a huge part of his life. Today, Dennis is a practicing attorney in North Texas, and despite that, he has yet to fall to the dark side. Dennis lives with his wonderful wife, and he is currently instructing and slowly indoctrinating two Padawan boys in the ways of Star Wars and the Force. Besides Star Wars, Dennis enjoys the NHL, football, and studying the NFL draft. Dennis is also the co-host of Starships, Sabers, and Scoundrels. Please contact Dennis on Twitter @DJKver2. screen, it was the first movie she saw in theaters. Her love of Star Wars, sci-fi, and fantasy has grown into what can only be described as her true identity. In my “normal” life, she is a wife, married 22 years, and mom of two boys, ages 16 and 18. She is also a high school Family and Consumer Sciences teacher of 24 years. Involved with “Star Wars in the Classroom,” her call sign is Rogue 7, and she is proud to be a teacher who involves students with Star Wars in many ways. She also wrote a geek fashion review blog for CWK called “Core Worlds Couture,” in which Jay brought the mature side of geek fashion, while still keeping a youthful, edgy attitude. You also may have found ideas and tutorials for upscaling, repurposing, or recycling items as well! You can also catch Jay as a co-host of the podcast Starships, Sabers and Scoundrels (RetroZap! 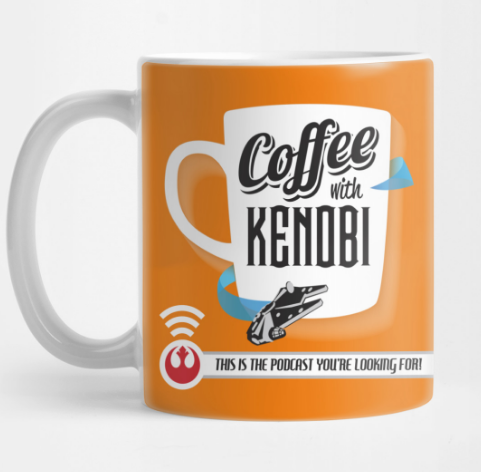 Network) and on podcasts like CWK’s own Rebels Reactions and Legends Library, as well as guest appearances on Idiot’s Array, and Brews and Blasters. In her spare time, Jay loves to run, read, sew, craft, gaze at the night sky, and work outside with flower gardens. Southern New Hampshire University, will graduate with a Bachelor’s Degree in Creative Writing-Fiction, and is in the early stages of writing his first novel. Eric has blogged at one time or another for thecantinacast.net, thebeardedtrio.com, beltwaybanthas.com, Bombad Radio, and is currently doing reviews for bigshinyrobot.com. Eric has been a huge Star Wars fan his entire life, and is also an enthusiast of classic science movies and books. He is an avid reader, and is the proud owner of a pretty cool Star Wars collection. Joe is a trained electrical technician so naturally, he loves R2. He doesn’t write that often, but when he does, looks forward to the adventure. Join him as he discusses and ponders the deeper meanings of Star Wars. This is going to be fun. critical analysis and breakdown of the saga. Ryder is Rogue 74 with Star Wars in the Classroom, and while being a dentist for 15 years he uses Star Wars to teach oral hygiene to elementary school children. He is one of the co-hosts of Idiot’s Array, a Star Wars podcast, and the Dental Realist Podcast. Ryder is also a co-author of So You Want To Be A Dentist? and So Now You’re A Dentist? books aimed at helping new and future dentists have a more enjoyable career. His favorite movie is The Empire Strikes Back and it is the first Star Wars movie he can remember seeing in theaters. Besides Star Wars, Ryder also loves sports, especially basketball, and has an amazing wife who is very supportive of his fandom, and three great boys who join in it with him. opening night. He has better memories of that evening than she does. He was born and raised in the Philadelphia area, and she is from New Jersey. Together they have three children, the older two being teenagers now. He is the priest at Holy Apostles Orthodox Church, a young mission parish in the beautiful Finger Lakes region of New York. By way of hobbies and interests, James is completely enthralled with the Star Wars universe, an avid yet amateur genealogist and committed sports fan. Contact James on Twitter @adelphotheos.